This article reflects on lessons that South Africa can learn from Brazil’s successful agricultural growth model, also looking at how far South Africa is in terms of investing in the soybean industry and growing it further. By 2050, Africa’s population will grow from 1,86 billion to 2,4 billion. With vast growth in population, food producers need to keep up by producing more efficiently, bearing other factors in mind like climate change and increasing input costs. Brazil is the largest economy in South America and the seventh biggest economy in the world. Brazil has a high amount of tropical zones, which are a challenge to agriculture; high numbers of pests, drought, soil acidity, low nutrients etc. all of which will be intensified with global climate changes. In the 1970s, Brazil was not food secure, they had low agricultural production with low yields, constant food supply crisis and rural poverty, they lacked adequate agricultural development policies. Today Brazil owes its agricultural success to strong government investment in research and development. In the 1970s, Brazil established a research council named the Brazilian Agricultural Research Corporation (EMPRPAPA), which is a world leader in tropical research. One of the contributions of this research institute is that they developed new varieties of soybeans that were better suited to tropical climates like Brazil, with a much shorter growing period. This revolution made Brazil a big competitor for the US and Europe regarding soybean exports, also giving rise to big soybean producers and traders. In the past 20 years, average annual soybean yields in Brazil increased by 1,33%, Argentina by 0,64% and America by 1,46%, whereas in South Africa yields on average were 40% lower than the average achieved in the above-mentioned countries. Reflecting on South Africa’s situation, we have made great strides in growing the soybean industry, with more hectares dedicated to the crop yearly and farmers adapting production techniques to get more stable and improved yields, we even have a high crushing capacity which we do not fully utilise. Market information shows that companies are not willing to introduce the latest technology in South Africa without a breeding and technology levy. 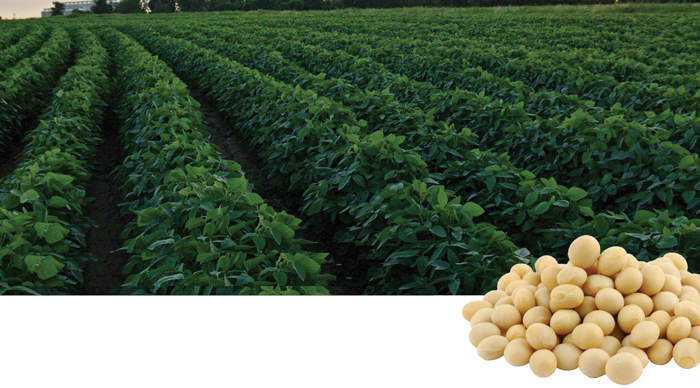 A breeding and technology levy is a statutory levy paid by producers on each ton of soybean delivered, to invest back into the industry to fund activities such as research and development. The breeding and technology levy is approved in South Africa for the next two years and it will be implemented from March 2019 at R65/ton for the first year and R80/ton for the second year. Brazil’s story clearly highlights the importance of research and development given the economic and commercial benefits seen in Brazil. It is important to empower research institutions financially, in order for research to be aligned to the country’s specific needs. As South Africa, there is clearly a lot that we can learn from the model used by Brazil to grow their soybean industry and agriculture as a whole. However, we are moving in the right direction in terms of the breeding and technology levy, but more still needs to be done for the country to become competitive in the international soybean industry. Article submitted by Ikageng Maluleke, Junior Economist, Grain SA. For more information, send an email to Ikageng@grainsa.co.za.